The bombs are ready to drop on Monday, November 9th, 11:30 PM EST. The long awaited release of Bethesda’s Fallout 4 has arrived; hopefully everyone reading this has taken some time off work this week to enjoy. There’s only one question left, what kind of character will be good to play? There’s been a big overhaul in character generation/managed, skills have gone to the wayside and replaced with a plethora of perks that are gated by the player’s SPECIAL stats. There’s also only 28 stat points to go around at the start (vs. 40 in Fallout 3), so there will be plenty of points to add on level up. What really matters is unlocking the critical perks for one’s playstyle as early as possible. As a disclaimer, these builds are only based what’s been revealed prior to release. With that in mind, here’s a few starting builds that’ll hopefully save some time and grind. Every kill. Just like this. The loss of 12 stat points makes for some tough sledding in the early going, as END was a reluctant sacrifice to load up on AGI and keep PER, CHA and LCK at average competence. All the stealth goodies are available right away, and there won’t be many locks or passwords this character can’t crack. Getting Ninja so early is a huge advantage, and should keep the OHKs rolling from level 1 to 50. The advantage of dumping END entirely is that it opens up growth in all the other helpful areas of a stealth sniper’s repertoire. STR is only 1 point away from melee crafting, an excellent secondary combat skill that synergizes with Ninja and Mr. Sandman. PER is only 1 point away from unlocking explosives bonuses, and with the stat being tied to aim and theft success, its well worth the investment. INT is the other big hitter, with Energy Weapon crafting only 1 point away and the ability to frenzy robots a little further down the line. Serious Jay Leno chin going on. First five perks: Locksmith, Hacker, Science! (or Gun Nut, depending on weapon availability), Sneak, Rifleman/Gunslinger/Commando (personal preference). 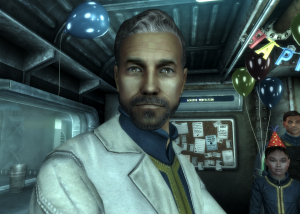 A throwback to James/Dad from Fallout 3, this build wants to talk or think its way out of a situation. It takes advantage of the assumed shooting competence in 4 and won’t have to be reliant on VATS, so AGI doesn’t need the same level of emphasis. Its tough to predict the combat and crafting perks, but this build thematically favors Energy Weapons, its only a question of whether automatic, one handed or two handed weapons are easiest to find. Like the Sniper, this build doesn’t take hits especially well, so sneaking is an exceedingly helpful defense mechanism. It may seem odd that CHA is so high with no perk recommended early. Its mostly that high because its close to the top three perks in the field: Inspirational, Wasteland Whisperer and Intimidation. 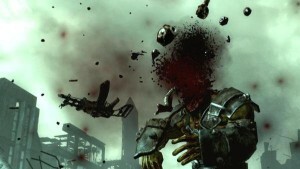 Companions get a buff, and late in the game the entire Wasteland can be at one’s beck and call. That said, further investment in INT is more helpful in the mid-game. The Gamma Gun and other radiation weapons seem particularly intriguing and INT 9 is required to buff that. Further down the rabbit hole is Nerd Rage! which should work wonders for negating the low END. Essential equipment in any New Vegas run. Need somebody to clear out a room in a blaze of glory? Call in this character. Automatic weapons are the best tool for a crit-focused character, and the early perks grant even more chances for it in VATS. While its probably better to leave the plasma rifles at home, there is a wealth of opportunity for a guns/explosive based build. The Luck perk tree is fantastic, and further investment into Bloody Mess and Better Criticals are a must. Idiot Savant isn’t a bad choice either, since speed of leveling is tied directly to INT. AGI also pairs well with this build, since Ninja can buff sneak attack crits in conjunction with Better Criticals. Its basically game over for any ambush once Gun Fu gets added to the mix. Beyond that, Four Leaf Clover makes Critical Banker a juggernaut and taking Ricochet can bring all those Revolver Ocelot fantasies to life. Release is only two days away, if only the real world had that “Wait” function. 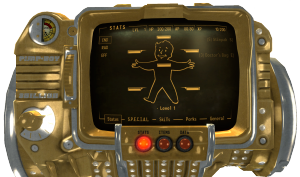 All images from the Fallout Wiki.